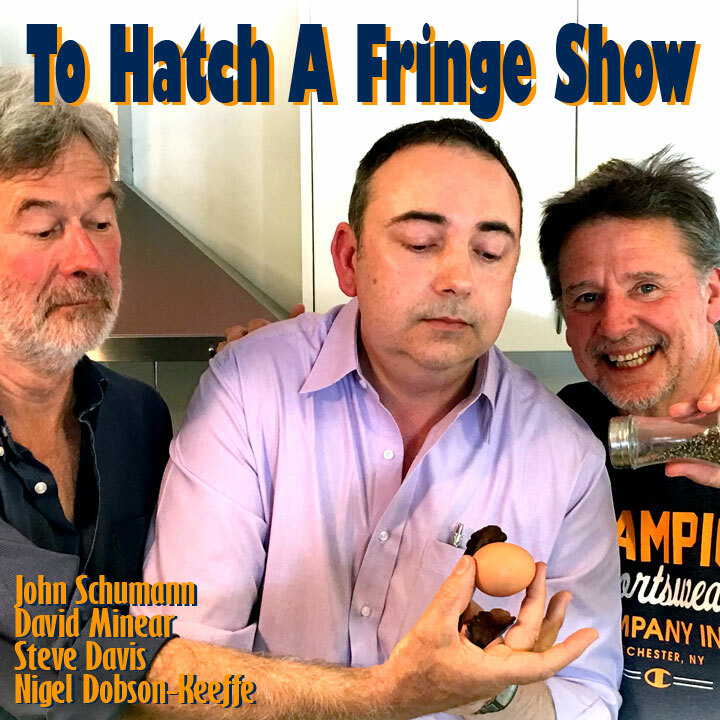 In this episode we ‘swap jokes and company’ as we explore the worlds of two, great, Adelaide mates, David Minear and John Schumann. In surfing parlance, tonight’s conversation is like a bombora that we surf all the way back safely to shore! John Schumann discusses Redgum, songwriting, Australia, cars, family, Henry Lawson, attitudes to the nuclear industry, ice cream and PTSD. David Minear discusses advertising, Young and Rubicam, Mitsubishi, Sigma, Adelaide Fringe, West End advertising, Henry Lawson, Golden North, Kojo, the film industry and being a chairman of different boards. And despite all those topics, we hardly scratched the surface with these guys. We hope to get them back one day! IS IT NEWS picked up on the surfing theme, giving David a slight advantage, given his business, Bombora, is a haven for surf music recording in Australia. We didn’t even dip our toes into that water tonight. The Joker 2013 Kalimna Shiraz from The Mysterious Mr Black, Barossa Valley. Tasting notes. This week: Stupid goals to GET you going – smart processes to KEEP you going. At first glance, it’s counter-intuitive that a man whose legend has been built on songs about social justice and the underdog could be friends with a man whose legend has been built in the world of advertising and consumerism. But that’s the problem of first glances. As we spend the evening with John Schumann and David Minear tonight, we’ll see that not only do these caricatures break down almost instantly, we’ll also learn that when you have creative minds around you, you just have to get used to holding seemingly contradictory ideas TOGETHER, in some sort of sweet tension while trusting it will be all right in the long run! Gentlemen, welcome to the formal part of our podcast. Thank you for bringing to our attention one of our recent tweets which was mis-construed as KixxRadio.com suggesting that Adelaide may not be the vibrant, exciting and talented city that it is. This is far from the truth and in fact KixxRadio.com are strong supporters of the South Australian talent scene with a weeknight segment called #kixxstart where we showcase the best of our local artists. Well known DJ @JayBangers and local journalist/public figure, Libby Trainor Parker from @bsidemag and @upsidenewsaus have joined the KixxRadio.com team and we are looking forward to an exciting 2016. 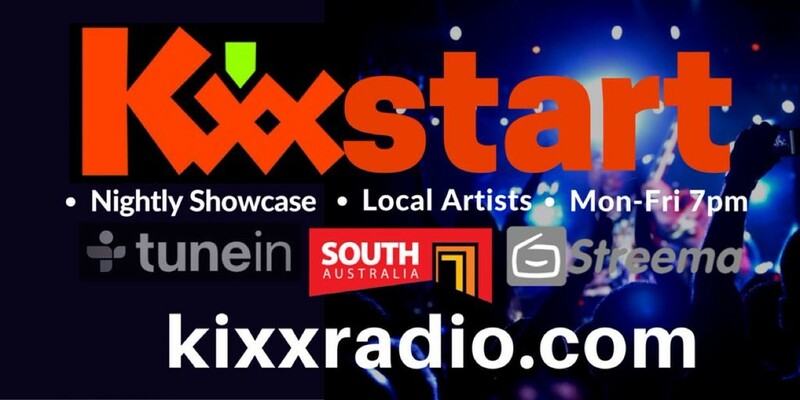 We believe shows such as yours, offers the South Australian public true choice and if KixxRadio.com can help in any way, then it is a win-win situation. In closing, we look forward to having our Adelaide Visa re-instated and upgraded to “Ambassador” status. Julian Clary from Denton program in 1995. Evidence submitted by an anonymous listener. When asked what he’d do to someone he disliked, he said he’d send them to Adelaide because he didn’t like it very much here. And our song this week, Live Your Life by Reuben Gore, brought to our attention by friend of the program, Michael Shanahan, and endorsed by our musical curator Adrian Miller, from Radio Adelaide’s Monday night program, Songcatcher. This segment was recorded Monday night. No sponsors during the Fringe. NOTE: The wording below was used to promote this event for The Adelaide Fringe in 2016. At the time of publishing this page we have THREE more live recording shows over the next three Tuesdays. Details all here – please come to at least one. Only 25 seats per show. 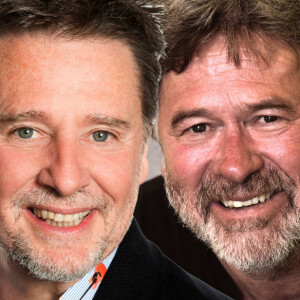 Come along to our first Adelaide Fringe live recording on Tuesday night, February 16, 2016, from 7-9pm at The Arkaba Hotel, for an intimate and fun evening of conversation with two great Adelaide mates, John Schumann & David Minear. When you click through to buy tickets from the Adelaide Fringe website, make sure you choose the right night. And please move quickly because there are only 25 tickets in total. John Schumann is well known for his work with Redgum, a band that produced the song One More Boring Thursday Night In Adelaide. 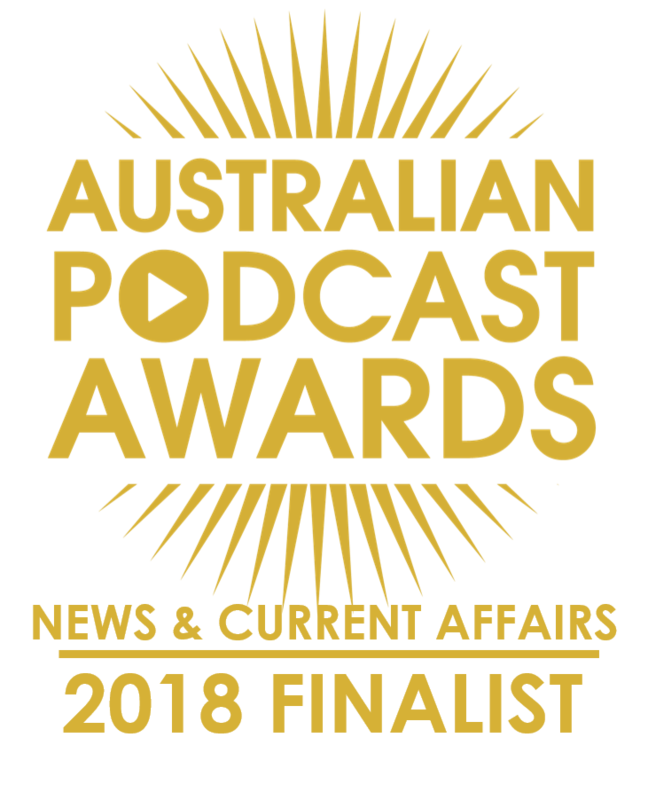 That song was part of the mix of ideas and motivations that led our podcast into existence; we were sick of people labelling Adelaide as boring. When that infamous song was produced in 1978, there were some interesting observations about life in Adelaide but the problem with the ongoing meme of Adelaide being boring is that time has moved on and there is a yawning gap between ideas formed in the past and the reality of a city where new ideas and ventures are pulsing through the streets, suburbs and regions. Just look at our 129 previous episodes for evidence. We’ll discuss this with John, as well as draw out some other South Australian references from his Redgum back catalogue and see which still hold up and which have had to yield to time and change. 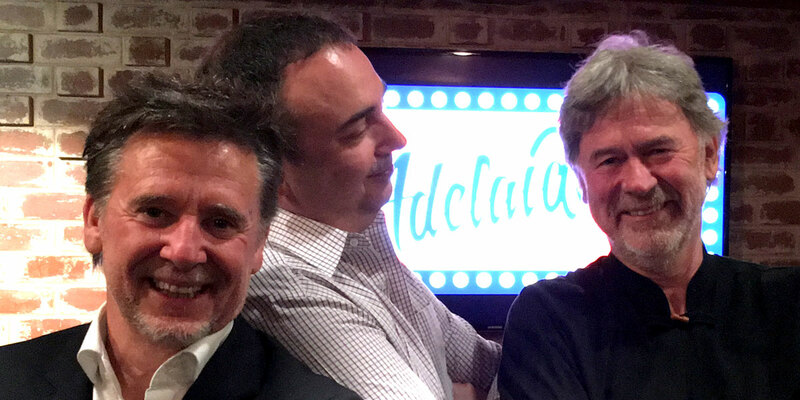 But given our podcast is just like a chat among friends over a glass or two of red, so too our first night will conjur up the essences of mateship as we also interview one of John’s best mates, David Minear. 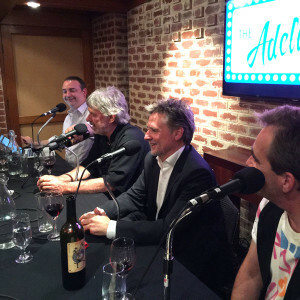 David Minear is not only Chair of the Adelaide Fringe, he owns Australia’s only surf music label, Bombora, and is often referred to as ‘the ad man’. Right on stage during our very hip ‘podcast’ recording, we’ll be keen to learn about his exposure to other ‘multimedia’ growing up (his dad ran a drive-in theatre over the back fence’) and how that shaped his career goals and decisions. David also held the steering wheel at Y&R, the advertising agency, back in the 80s and 90s, when Adelaide produced Mitsubishis. Perhaps he might end up directing the short, improvised promo video for the episode on the night? And we’ll explore how friendship happened through life in Adelaide and South Australia through the 60s, 70s and beyond. As well as working out how a vocal critic of rampant consumerism could be friends with someone working on the ‘dark side’ in advertising. When you click through to buy tickets from the Adelaide Fringe website, make sure you choose Tuesday, February 16. There are only 25 in total. It should be an enjoyable night of conversation. Make sure you come early to have a meal at The Arkaba so you can relax and get into the mood. PS As the night gets closer, this page will also become the running sheet, so you’ll get a sneak peek at what we plan before we record a show.